A Brandon University (BU) professor is inviting members of the general public to come see local history through the lenses of local filmmakers. Dr. Rhonda Hinther is opening up her Intro to Public History class on Tuesday to the general public as she hosts a panel discussion called “History on Film.” She has invited a group of local historians who have made films about Brandon or Westman history to discuss their work, their dream projects, the connections they’ve forged, and to screen trailers of the films they’ve made. She says she’s opening up the afternoon panel discussion to the public because she knows how much people want to learn about the history of their own communities. Participating in the panel discussion along with Hinther will be filmmakers and historians Shaun Cameron, Christy Henry, Morganna Malyon, Tom Mitchell and Graham Street, who have together created more than a dozen films, from short vignettes to full-length documentary features, that explore all aspects Brandon and Westman history. “It’s very exciting to make films about local history, especially based in Brandon, because there are so many rich stories that are simply waiting for a rediscovery,” said Street, who has produced a number of history-based films, including “Time Tourist,” which focused on Brandon’s historic buildings, “Postcards From the Past,” which featured historic Brandon personages, and the “Warpaths” series, which followed the stories of rural Westman through the First World War. “History on Film” will be held in room CHO 022, on the basement level of Clark Hall, on the BU campus, beginning at 1:30 p.m., on Tuesday, Feb. 9. Shaun Cameron is the President of S.G.Cameron Media Inc. He has spent over fifteen years working in media, including a stint as a Creative Writer and Producer at the CTV affiliate station CKX Television. Shaun’s entrepreneurial nature helped establish Brandon’s first internet news organization, a business startup known as itvbrandon.com. Shaun has worked for the past number of years as a community producer for MTS Television Stories from Home. Titles include End of the Line, Tales from the Eddy, and collaborative pieces such as Performance & Place, Then & Now, the patchworks series and his latest collaborative effort Hidden Manitoba. Shaun is a freelance political affairs columnist with the Brandon Sun, with freelance work appearing on the CBC National news, Indio, and Yahoo Canada. Christy M. Henry earned her M.A. from the University of Manitoba, specializing in Archival Studies, and her B.A. from Brandon University. She is currently University Archivist at the S.J. McKee Archives, Brandon University and Chair of the Association for Manitoba Archives’ Rural and Northern Archives Manitoba (RNAM) special interest group. Henry has worked with a number of Manitoba film makers who have consulted the materials held in the McKee Archives. Additionally, she collaborated with Street Media Inc. on an MTS documentary based on her exhibition (in partnership with the Daly House) featuring the photographs of Frank Gowen. Rhonda L. Hinther is an Associate Professor of History at Brandon University (BU). Prior to joining BU, she served as Director of Research and Curation at the Canadian Museum for Human Rights (CMHR) and, before that, as Curator of Western Canadian History at the Canadian Museum of Civilization (CMC) in Gatineau, Quebec. Her research and teaching interests include public history, oral history, gender and women’s history, migration and labour history, and radical and social justice activism in Canada. Her work has been disseminated via museum exhibition, films, scholarly articles, and books. She is the author of the forthcoming book, Perogies and Politics: Radical Ukrainians in Canada, 1918-1991 (University of Toronto Press, 2016). Morganna Malyon graduated from Brandon University in 2013 with a major in History and a double minor in Gender & Women’s Studies and Religion. Focusing on women’s legal history, she is currently finishing up her MA at Trent University. Due largely to Morganna’s keen interest local history, she chose to focus her thesis around domestic violence in Brandon, MB at the height of social and legislative reform during WWI. Extremely passionate about unearthing the past, Morganna has worked numerous research contracts over the years. 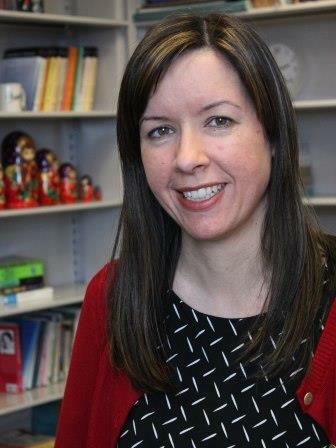 Her time as a researcher has included work on both academic projects through Brandon University, as well as public history projects through local museums and MTS Stories From Home. Tom Mitchell is former University Archivist at the S.J. McKee Archives, Brandon University. His published work has appeared in leading Canadian academic journals. With Reinhold Kramer he is the author of When the State Trembled: How A. J. Andrews and the Citizens’ Committee Broke the Winnipeg General Strike (University of Toronto Press, 2010). In 2013, he co-produced the MTS documentary School Wars – Denominational Schools in 1880s Brandon and the Politics of National Identity. In 2014, he wrote, narrated and produced Wheat City – 1930s: A Prairie Town in the Era of the Great Depression. In 2015, he wrote, narrated and produced Wheat City 1900s – Making Modern Brandon. Graham Street is an independent documentary filmmaker who has produced multiple documentaries for MTS TV ‘Stories From Home’ to date. Notably, he is the Producer and Director of the broadcast length WWI documentary series, Warpaths, and the Executive Producer of the Brandon Industry Group collaborative series ‘Patchworks’. Graham has a Masters of Arts Degree in archaeology and television production from Bristol University in the United Kingdom. He is currently a faculty member of the Interactive Media Arts program at Assiniboine Community College, the President of Street Media Inc., an independent television production company, and is one of the founding members of the Brandon Industry Group.